This epic homemade Buffalo sauce is made from scratch and the taste shows it! Once you try making hot Buffalo wings sauce yourself, you’ll never want to have store-bought! This homemade Buffalo sauce transforms any plain chicken into spicy flavorful feast! 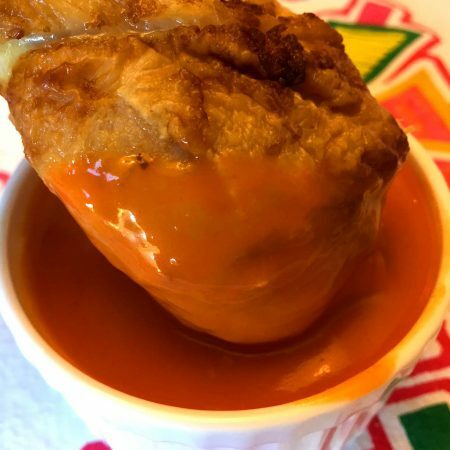 You can make hot Buffalo chicken wings or drumsticks by slathering the chicken with Buffalo sauce and baking in the oven, or you can also simply use the Buffalo sauce as a dipping sauce. It tastes amazing! This easy recipe makes authentic Buffalo sauce, just as they make it in Buffalo, New York. Yes, Buffalo sauce is named after Buffalo, NY, not buffalo the animal 🙂 Buffalo wings sauce was invented in 1964 in Buffalo New York in the restaurant called The Anchor Bar. This homemade Buffalo sauce tastes extremely close to the original! 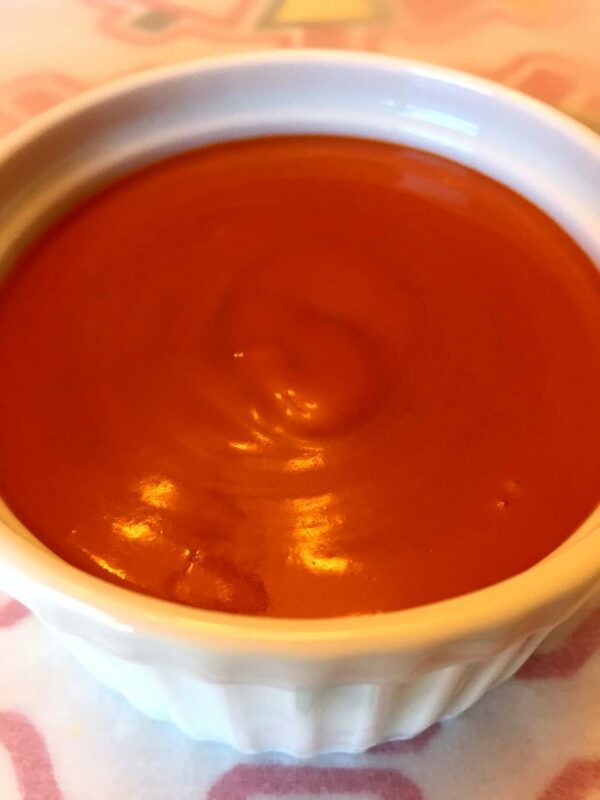 Homemade Buffalo sauce is a mixture of simple ingredients: hot pepper sauce, butter, white vinegar, Worcestershire sauce, garlic powder, salt and cornstarch. All these ingredients combined create really complex multi-dimensional flavor that makes up the Buffalo sauce! 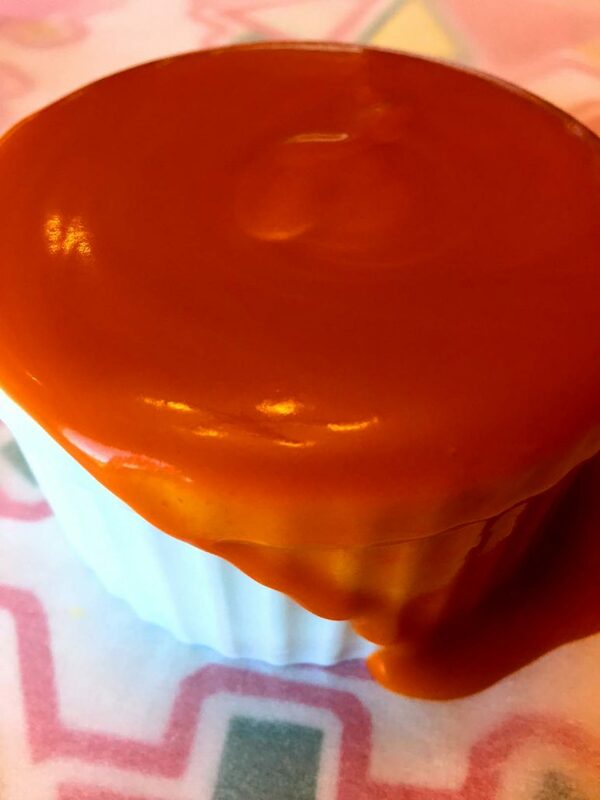 Just think about it: butter alone would taste like plain melted butter, hot sauce alone would taste just flat spicy, but when butter and hot sauce are mixed, and other flavorings are added, that’s how you get that amazing indescribable Buffalo sauce flavor! Yum! When you search for Buffalo wings sauce recipes online, most of them omit cornstarch, but without cornstarch the resulting Buffalo sauce is too thin and runny. 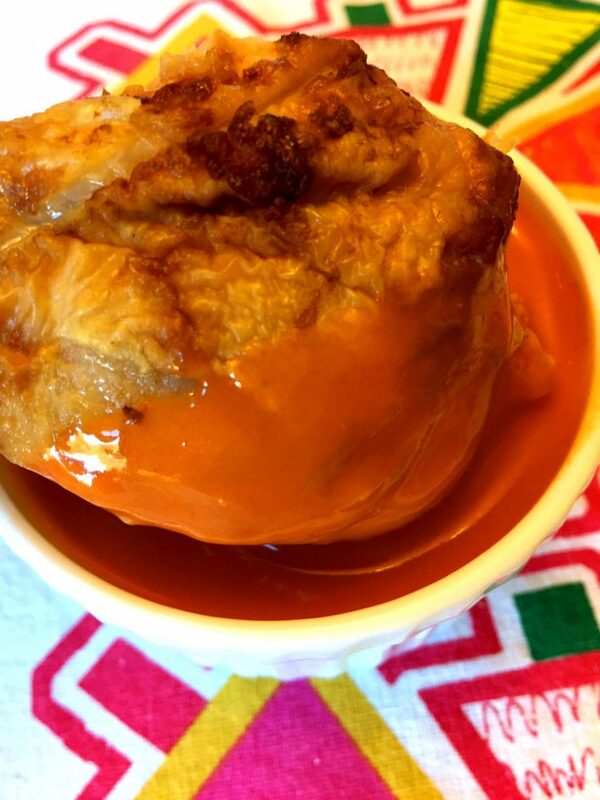 Cornstarch is needed to thicken the sauce to make it the right consistency that you would expect from Buffalo sauce. Making your own Buffalo sauce from scratch is very easy. All you need to do is combine sauce ingredients and bring to simmer, while whisking with a whisk. 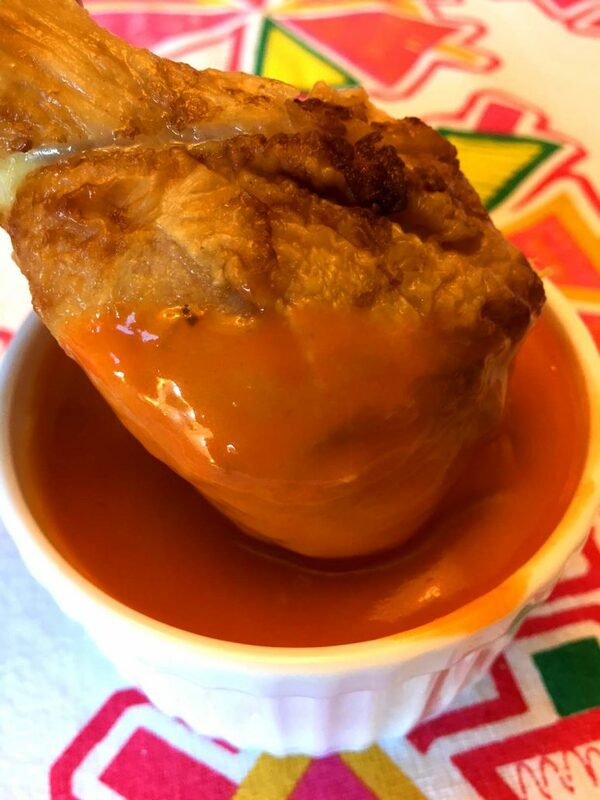 When the Buffalo sauce mixture comes to simmer, the cornstarch will fully dissolve and thicken the sauce, and your best ever homemade Buffalo sauce will be ready for you to enjoy! 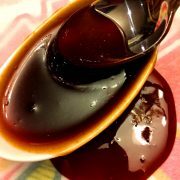 Homemade Sweet And Spicy Dipping Sauce – another awesome homemade sauce, really easy to make! 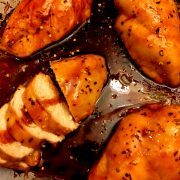 Easy Pigs In A Blanket – everyone loves this classic! 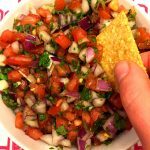 Homemade Pita Chips – so much better than store-bought! 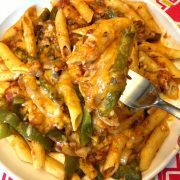 Spicy Mexican Pasta – a delicious combination of Italian and Mexican, so yummy! 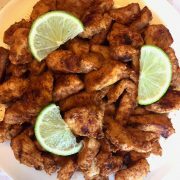 Easy Spicy Chicken Stir-Fry – more spicy chicken, mouthwatering! 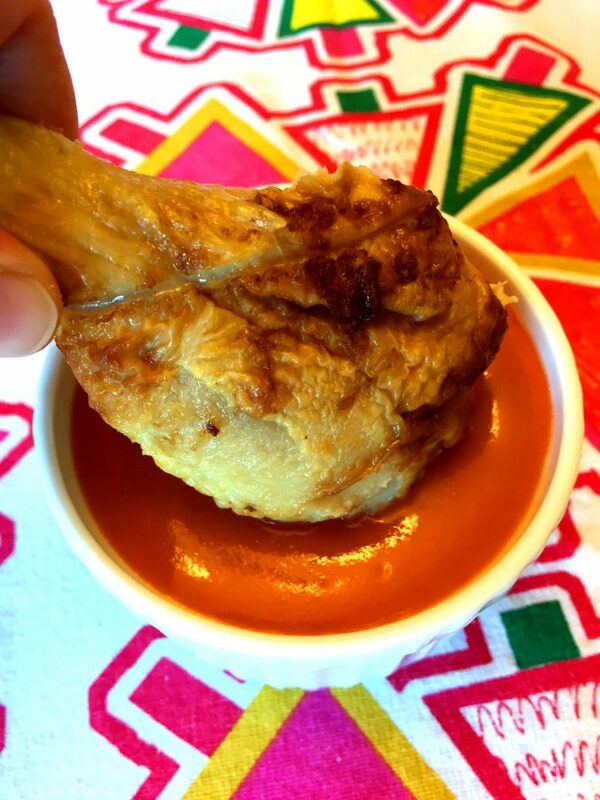 This homemade buffalo wings sauce is the best recipe ever! Once you try this easy fresh homemade Buffalo sauce, you'll never want to use the one from the bottle! 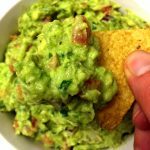 Put the hot pepper sauce, cornstarch, white vinegar, Worcestershire sauce and garlic powder in a cup, and mix to combine. Put butter in a sauce pan and melt over medium heat. Add the hot pepper sauce mixture and bring to simmer, stirring constantly with a whisk, until the cornstarch is fully dissolved. Remove the Buffalo sauce from heat and serve. 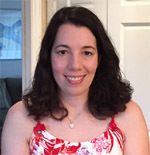 I am pregnant and I have been craving nothing but Buffalo Wings, but my husband and I didn’t want to spend a lot of money ordering wings from various places. I can be picky about my sauce. I want it to have a nice kick to it, where it leaves your forehead and the bridge of your nose glistening with sweat. But, I do not want the wings to just be *HOT*. I want flavor. 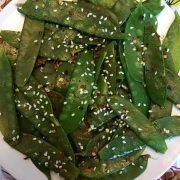 Rummaging through many websites looking at recipes, majority of them are exactly the same – all including extra cayenne pepper outside the pepper sauce. This recipe is different. Corn Starch? What? That is definitely something I did not expect to see in wing sauce. 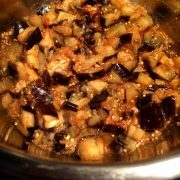 So, my husband and I thought, “Let’s give it a try.” Making the sauce isn’t expensive or timely so if I didn’t like it, I could always try to make another batch with another recipe. Well, a first batch was all that was needed. Melanie… Thank you so much for sharing this golden egg. You have saved my husband from experiencing many future moody tantrums regarding my cravings by being unable to give me as many buffalo wings as I want, whenever I want (there is no closing hour in my kitchen). Thank you, thank you, thank you.